On December 17, 2018, H.E. 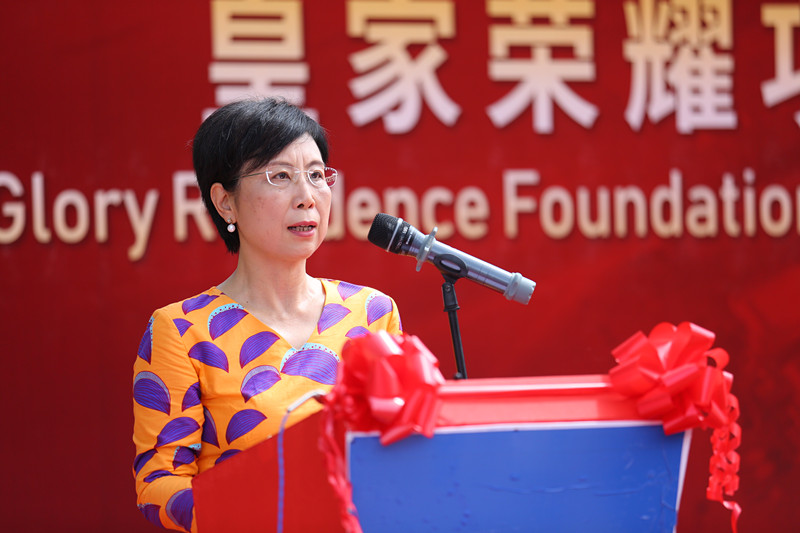 Ms. Wang Ke, Ambassador of China to Tanzania, attended the Foundation Stone Laying Ceremony of Royal Glory Residence, a real estate development project undertaken by China Civil Engineering Construction Corporation (CCECC). Other VIPs who were present at the ceremony include Dr. Damas Ndumbaro, Deputy Minister of Foreign Affairs and East African Cooperation of Tanzania, who represented Prime Minister of Tanzania Mr. Kassim Majaliwa, Mr. Yuan Lin, Chief Economic and Commercial Representative of China to Tanzania, and Mr. Yuan Li, Chairman of the Board of CCECC. In her speech, Ambassador Wang Ke congratulated CCECC for the launch of its new real estate development project in Tanzania. She said that CCECC East Africa Limited has rooted itself in Tanzania since the construction of Tazara Railway and is the most veteran Chinese enterprise in Tanzania. 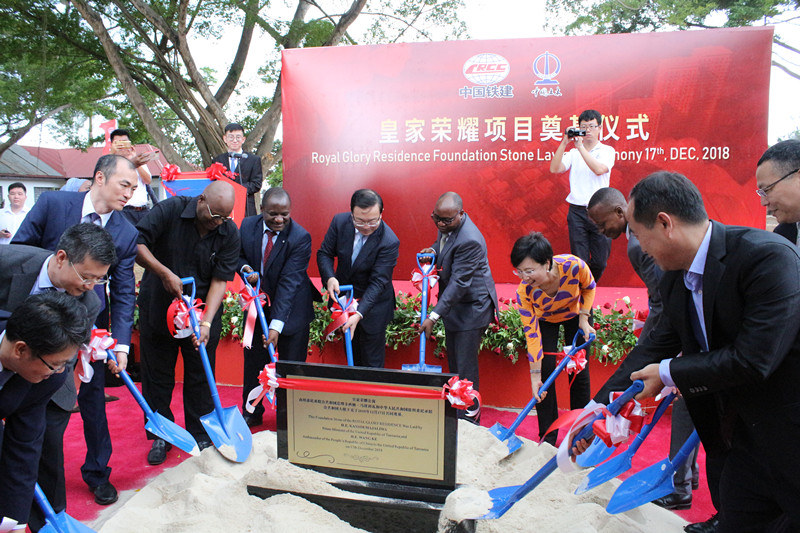 Ambassador Wang said the Royal Glory Residence project is another big investment made by Chinese companies in Tanzania, the total value of which amounts to 43 million US dollar. 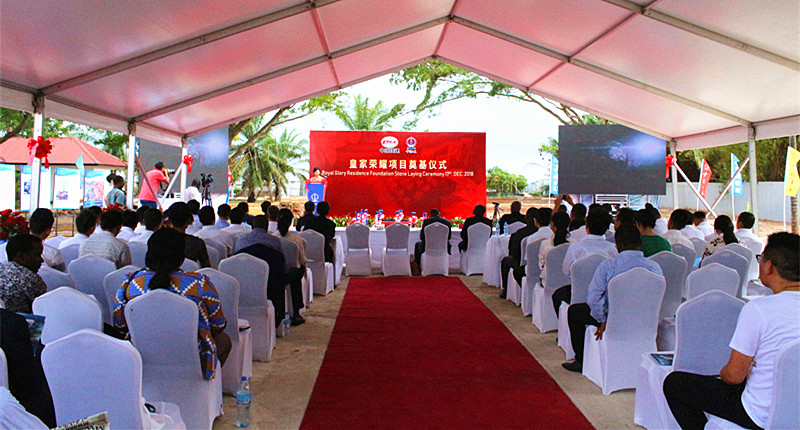 This project, together with other investment projects, has demonstrated that the Chinese companies are confident in the prospect of Tanzania's economy. These projects will help the Tanzanian Government and its people increase revenues, get access to advanced technologies and create jobs. She said that the nature of China-Tanzania and China-Africa cooperation is mutually beneficial and complementary to each other despite some noises about China-African cooperation being raised. 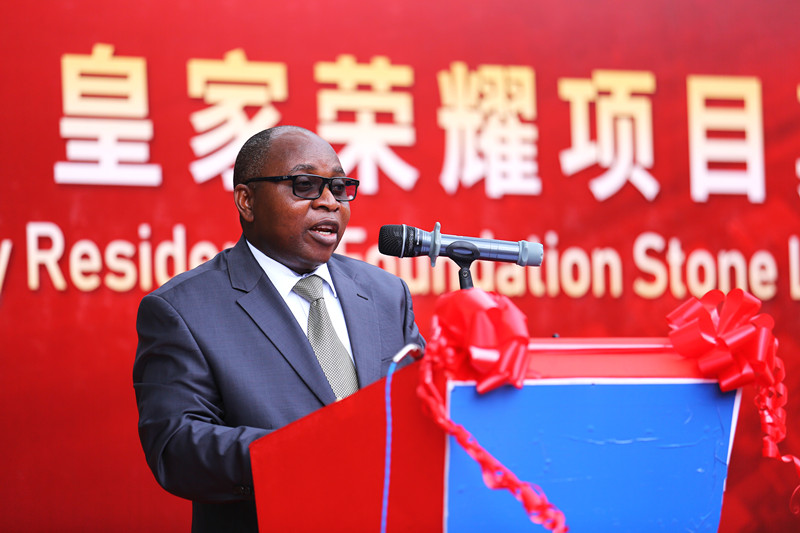 "Recently, a senior official from some western country made irresponsible and distorting remarks, describing China as a competitor and blacken China's cooperation with African states," Ambassador Wang said. She maintained that China-Tanzania and China-Africa cooperation shall fully respect Africa's wishes, meet Africa's needs, and refrain from interfering in African countries' domestic affairs. "Whether China's engagement with African countries is good or bad, I think the African people know the best." The Ambassador said regardless of what other people have said, China will continue developing its relations with Africa according to the principle of sincerity, real results, affinity and good faith. Deputy Minister of Foreign Affairs and East African Cooperation Dr. Damas Ndumbaro, applauded and appreciated CCECC for coming up with such an important project. He said the Tanzanian Government commends President Xi Jinping of China, for coming up with the Belt and Road Initiative and that Tanzania fully supports this initiative. Dr. Ndumbaro also said that there are Chinese graves in Gongo la Mboto, it is a testimony and a good foundation for Tanzania-China relationship. "Whenever we hear complaints from other countries, we should ask ourselves, 'do they have graves in this country?'" he said. The Royal Glory Residence is the second real estate development project undertaken by CCECC East Africa Limited in Tanzania. Once completed, it will become a new landmark in Dar es Salaam.